The Ojai Vineyard » Feb. 6th – Ojai Red is Here! Feb. 6th - Ojai Red is Here! Come join us on Saturday February 6th from 4pm to 8pm and taste the new Ojai Red and enjoy fabulous food from Scratch food truck! What could be a better combination than a glass of the perennially over performing Ojai Red and our favorite haut cuisine in a food truck? Great inexpensive food, great modestly priced wine! Our customers have figured it out, Ojai Red is the real deal–and it sells out quickly–so come in on Saturday February 6th and have a glass with Scratch’s best, and if you agree that it’s delicious and a great value get in on the deal (regular price of $25, only $19.95 for this event!). This latest version of Ojai Red is filled with prodigious fruit and perfume–accented by Syrah and smoothed by Pinot Noir’s natural silkiness. The wine finishes with a dash of acidity tempered by salty tannins and a wonderful texture that is an Ojai Vineyard hallmark. This is one of our “wine bar” events where we only serve up glasses and bottles (sorry, no flights, but as always, club members get their special discount). Try the new Ojai Red for $7 a glass or check out one of our Ojai Red library selections ($10) and see how complex and interesting it gets with age. We’ll have a selection of other glass pours available that night as well. 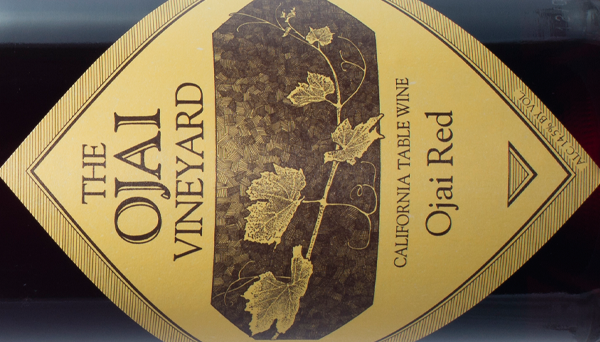 Here’s the story of Ojai Red for those who haven’t been introduced to this great value. Ojai Red, made since 1992, is a byproduct of racking wine from barrel–separating the clear wine from the cloudy. That cloudy wine is recombined to create a serendipitous blend. What’s significant and often lost when talking about this wine is that the components used are the same carefully farmed and meticulously fermented grapes that go into our more exclusive bottlings. Throughout the years Ojai Red was reserved for the local market, but slowly it made its way to outside buyers who recognized the terrific value and its exciting personality. Because of this attention and the demand created we now have to restrict sales outside the tasting room to satisfy you, our personal customers. But still, each year we run out of this gem quickly, so be sure to pick some up now at the discounted price before it’s gone!